Luminous Spiritual Dimensions — Primordial Hyperspace Realities –Extraterrestrial Hyperintelligence — The Ancient Interdimensional Denizens of Higher Celestial Planes — all actually exist beyond the narrow confines of this high-density, three-dimensional, spacetime continuum. Fluid, dynamic, constantly evolving: this interactive / experiential project, comprehensive archive, and website has been conceived, designed, and implemented primarily in the interest of indoctrinating explorers of alternative paraphysical realities into a broad spectrum of entheological spiritual technologies ~ capable of transporting them beyond the narrow, circumscriptive, quasi-reality paradigm of the ego-mind, into unseen hyperdimensional domains of interpenetrating supernatural fields, forces, and hyperdynamics. It is being made available to the psychedelic higher-consciousness community in order to stimulate: spirituality, transformation, and creativity ~ deeper theopneustic mystical insights, realizations, and perceptivity into the fundamental nature of existence ~ alternative hyperphysical realities ~ the transcendental experience and Way of Life. These technologies immerse explorers directly into an interactive, experiential, hyperphysical alien environment, where we encounter evidence that reinforces, confirms, and solidly establishes the authenticity and reality of alternative, subatomic, hyperspace dimensions, as well as the extraterrestrial / hyperdimensional / supernatural / UFO phenomenon itself. Inherently cathartic, perception-altering, entheological technologies incorporated into this program have the potential to awaken us out of our futile epicurean dreams, desires, and illusions ~ the distorted partial reality of the ego-mind ~ into ecstatic states of universal cosmic-consciousness ~ into luminous synchronous hyperdimensionalities. They have the capacity to temporarily suspend and transport us beyond our unconscious immersion in the perceptual programming and hallucinations of western society, affording us rare opportunities to explore alternative hyperdimensional realities ~ the full-spectrum of our multidimensional existence. It is an opportunity to explore, evaluate, and understand the mystical experience of psychospiritual death and rebirth ~ the fire of transformation ~ the true spiritual awakening... to be liberated from our entanglements with the ego, the mind, and the "other" ~ the delusional pseudo-reality masquerade of western society. Through spiritual technologies we teleport to ethereal, fifth-dimensional, subspace realities ~ enter into intimate spiritual communion with ancient patriarchal deiforms.... as our awareness interfuses with their's, in lucid synchronous states of hyperintuitive telegnosis, they teach us to ascend into transcendental states of peacefulness, blissfulness, and wholeness. 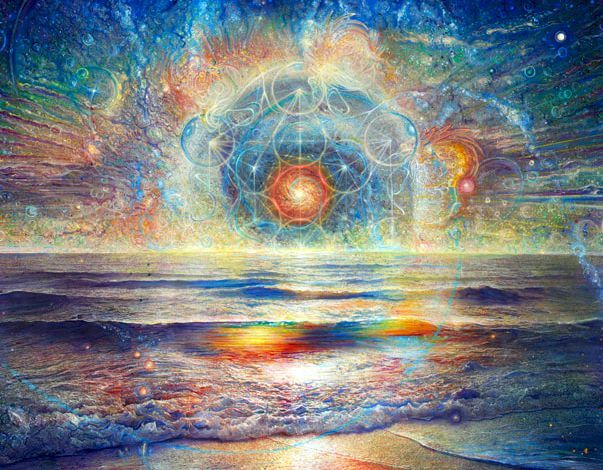 They invite us to enter never-ending streams of living spiritual-energy ~ infinite fields of love-consciousness ~ universal superconscious hyperdimensional fields of spiritual interconnectivity. The project is an innovative, dynamic, experiential approach to understanding, interconnecting, and interrelating with living ethereal fields of primordial superconsciousness, sacred spiritual energies, and extraterrestrial hyperintelligence; it is an illuminative spiritual journey into holotropic, transpersonative methodologies which allow higher dimensions to be introduced into our field of consciousness, helping seekers of existential truth transcend the ego-mind, realize the higher Universal-Self, and accelerate the awakening, illumination, and evolution of human consciousness.... It is the ancient sacred path that allows us to arrive at unique alternative perspectives, deeper mystical insights, channel inner streams of pure spiritual-energy, and reach higher levels of understanding regarding alternative metaphysical hyper-realities and the ultra-advanced extra-dimensional deiforms who live in these hyperphysical realms. The spiritual technologies incorporated into our program allow us to contact, explore, and interpenetrate the extraterrestrial / UFO / hyperspace phenomenon ~ interact, interconnect, and intercommunicate with interdimensional hyperintelligent godlike apotheons who emerge from these celestial hyper-realities ~ these exotic alien milieus. Those accepted into the program should be prepared to be transported beyond the rational intellectual processes of mind into paranormal, supernatural, fifth-dimensional experiences ~ supraliminal hyperphysical realities ~ higher astral planes ~ the unrealized mystical depths of being... into an immediate hyperintuitive awareness of the underlying integrative nature of existence. Often, such sudden, unanticipated modifications in core theological beliefs, values, and doctrines result in the radical acceleration, expansion, evolution, and refinement of consciousness... accompanied by an unexpected and precipitous escalation in the processes of spiritual awakenment, transformation, and enlightenment. 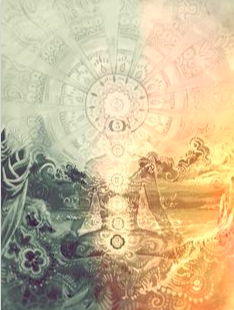 Trainees who undergo these existential / spiritual paradigm-shifts ~ the true mystical rights of passage, which are indeed radical, life-altering, and irreversible by nature ~ discover them to be severe, epiphanic, perception-altering, and cathartic . . . as well as temporarily destabilizing, disorienting, and frightening. We will be embarking on a mystical transcendental interdimensional voyage ~ penetrating, experiencing, exploring ~ interacting with luminous, synchronous, hyperdimensional fields of interconnectivity in the living moment... thoroughly altering the way you perceive space, time, and reality itself. You'll be entering spiritual states of Oneness, Wholeness, Peacefulness, Blissfulness ~ ecstatic intercommunicative states of universal Love-Consciousness ~ never ending streams of living spiritual-energy within the intercollective superconsciousness of God.... It is the death of the mind, the ego, the false persona ~ it is a true transcendental awakening ~ an authentic psychospiritual rebirth. The sleeper awakens from all delusional pathological dreamworlds, mental misperceptions, quasi-realities ~ the mythological electronic fog of western industrial society ~ into a life of profound mystical insights, euphoric spiritual energies, luminous psychedelic hyper-realities. We must realize our higher Universal-Spiritual-Self ~ enter expansive supernatural fields of hyperawareness ~ fully immerse ourselves into the interdimensional / UFO / hyperspace phenomenon. This is essential, imperative, prerequisite, if we are to be received and indoctrinated into alternative hyperspace realities ~ teleported and assimilated into faster moving interpenetrating fields of subatomic hyperdynamic cosmic-energies within higher astral planes. We must learn to live in mystical, consentaneous, harmonically synchronous states of expanded universal superconsciousness, that enkindles interrelations, interconnectivity, and intimate spiritual inter-communion with our luminous angelic supernatural overseers ~ the universal hyperdimensional intercollective ~ in a meaningful, efficacious, fulfilling way. The technologies, methodologies, and heuristic discoveries integrated into this pedagogical experiential adventure have been designed to trigger authentic spiritual awakenings, radical paradigm-shifts ~ mystical processes of transformation and enlightenment that dissolve the ego, expand consciousness, and transform the ordinary mind into a channel, a portal ~ an interdimensional vehicle able to transport us to alternative metaphysical realities ~ higher celestial planes ~ ecstatic states of universal transcendent hyperawareness.... to the deepest innermost cosmic core of being ~ the psychedelic superconscious integrative experience... opening the doors of perception to full-spectrum multidimensional transcendental experiences: luminous hyperdimensionalities ~ primordial oceanic fields of interconnectivity.... which, up to this point, have been hidden, concealed, enshrouded ~ an unfathomable mystery ~ an impenetrable enigma ~ inaccessible to the carnal and the probing intellect.... beyond what the mind is capable of interpreting, assimilating, comprehending, or even imagining. Only through intimate spiritual intercommunion with transdimensional, godlike, extraterrestrial hyperintelligence at a deep spiritual level, can we attain illumination, transformation, and syncretization ~ the epiphanic awakening ~ the spiritual rebirth ~ liberation from the ego, the mind, and the "other." Only by entering higher spheres of existence ~ higher levels of being ~ the infinite Pure-Void of universal super-consciousness can there be disentanglement from the delusional pseudo-reality of western society. Only when we realize, encounter, and experience the underlying primordial cosmic-energy-matrix ~ desireless, transcendental states of hyperconsciousness ~ the integrative psychedelic spiritual experience ~ will this self-indulgent, hyperconsumeristic, sociopathic western-culture lifestyle, in which the universe is seen and experienced as an electromagnetic subterfuge ~ a superficial cosmetic facade of substance and insentient matter ~ disconnected, fragmented, and noncommunicative ~ be exposed as little more than a perceptual distortion ~ an illusion ~ an anamorphosis ~ a mental misperception ~ an inaccurate imaging of existence. Our Approach to Investigating, Researching, and Exploring these higher etherealities is epistemological, ontological, and experiential in nature. We benefit from a synergistic confluence of boundary dissolving spiritual technologies to initiate visual contact, close-encounters, direct interplay, and intimate spiritual communion with the extraterrestrial, hyperdimensional, UFO phenomenon. This project is concerned with dimensions that are paraphysical, subatomic, and ethereal in nature ~ and with ultra-advanced interdimensional supernatural beings who emerge from these alternative spiritual hyper-realities into our mundane, subcelestial physical plane. It is imperative for the mystical awakening, evolution, and transformation of human consciousness that we transcend the limited perception of the one-dimensional ego-mind state ~ learn to enter expanded states of universal love-consciousness, interconnectivity, and divine-union ~ the primordial ethereal matrix of hyperdimensional superconsciousness. It is essential to our survival that we begin cultivating an intimate, spiritually interactive relationship with these interdimensional beings ~ arrive at a comprehensive understanding of the hyperdynamic spiritual reality which they are presenting us with... if we are to ever join them ~ within the primordial cosmic love-energy-matrix ~ within the higher harmonics of an ethereal transcendental paradise. ​We are purposefully dedicated to providing our apprentices with counseling, information, and assistance concerning the proper application of a broad spectrum of spiritual technologies ~ in the procurement of substantive, conclusive evidence for the existence of extraterrestrial hyperintelligence and the subatomic hyperspace realities from which they emerge. We are able to provide you with tools, information, and counseling to help you heal, grow, and evolve ~ regain your spiritual insight ~ enter Ultimate Truth ~ learn the spiritual Way of Life from ancient hyperdimensional ethereal beings of light. Ethereal hyperspace realities, whose existence is within faster moving fields of subatomic hyperdynamics, function beyond the faculties of ego-mind ~ beyond the limited prism of our physical senses; they cannot be observed with the carnal eye, and for the most part remain elusive, imperceptible, and undetectable ~ even with the latest generation of high-tech scientific gadgetry. The scientific developments, technologies, instruments, and knowledge of mankind have not yet evolved to the degree necessary to provide us with clear, accurate, salient evidence that reveals what is happening in ethereal hyperspace reality. Using the latest high-speed cameras and high powered microscopes we are just now starting to receive fragmented, unintelligible glimpses of the underlying primordial hyperphysical substrata of existence. Solid, irresistible unimpeachable evidence for the existence of these primordial hyperspace dimensions can be acquired at this time only through immediate first-hand experience, interfusion, synchronization, and intercommunion with the interdimensional supernatural deiforms, who inhabit these otherworldly planes, dimensions, and etherealities. The truth is, this realm intermingles with ~ is overlaid onto ~ our own baryonic, space/time continuum.... we, in fact, share the same existential space with it.... But due to it's inherent hyperdimensional profile ~ the fact that it is comprised entirely of enigmatic subatomic particles and hyperdynamic integrative cosmic energy fields ~ anomalistic, primordial subspace hyperdynamics, which behave outside the conventional laws of physics ~ sometimes referred to as "dark-matter" and "dark-energy" ~ we, for the most part, are unaware of it's existence. Hyper-evolved interdimensional beings, who are the denizens of these exotic metaphysical alien milieus, are actually made of it..,. and have been operating out of these ultra-sophisticated, primordial, ethereal subspace realms for untold eons. You Can Be Introduced To Them, and you'll be surprised to discover: they already know more about us than we know about ourselves; you can interact with them, communicate with them, and have intimate spiritual communion with them ~ even develop long-term spiritual interrelations with them. Allow us to reveal to you entheological spiritual technologies and the esoteric Ways of Life that will allow you to penetrate, investigate, and eventually become fully immersed in the kingdom of hyperdimensional supernatural reality. These beings are spiritual in nature ~ this is where the rubber really meets the road when exploring this unfathomable phenomenon.... and finding common spiritual ground with them is the whole key to witnessing and experiencing results ~ only then will your investigative ﻿efforts bear fruit. We must master the art of being ~ BEING HERENOW ~ in the same ecstatic state of universal spiritual consciousness as celestial beings exist in.... However, by the same measure, our lack of spiritual illumination, intuition, and understanding ~ our inability to find common spiritual ground ~ our indifference to the evolution of consciousness ~ is responsible for creating the "chasm" which has always separated and estranged humans from hyperdimensional beings, alternative hyperspace realities, and the higher planes of existence. Obviously, if entering into equivalent states of universal spiritual consciousness with extraterrestrial hyperintelligence is THE PORTAL into hyperdimensional realities ~ it only stands to reason: the avoidance and ignorance of transcendent awareness and the spiritual Way of Life must be the "chasm" which has always kept human beings and the metaphysical / supernatural / UFO phenomenon deeply divided. Because western society systematically organizes, propagandizes, and normalizes continuous, long-term, "cradle to grave" exposure to ephemeral, sensorial stimulation ~ the hypnotizing, anesthetizing electronic fog of the hyper-sensationalized celebrity culture ~ the vast multimedia entertainment complex ~ obfuscating our natural, transcendental, mystical processes of universal consciousness ~ restricting our entheogenic neurotransmitters with many layers of hyperconsumeristic cultural conditioning, atomistic rationalism, and psychological programming. This has caused us to evolve out of tune with the higher celestial orders of existence ~ with the Whole... This has caused a failure in the suppression of the ego. For many of us this has become an insurmountable chasm in our lives, an obstacle we have not been able to overcome ~ completely disconnecting us from our spiritual vision and hyperintuition ~ the interdimensional / supernatural / UFO / hyperspace phenomenon. This has thrown us out of harmony, synchronicity, and equilibrium with the spiritual dimension and the ancient Gaian Overmind ~ the Oceanic Consciousness of God and the ebb and flow of cosmic energy ~ completely dissolving our connection ~ our partnership ~ with the primordial, hyperdimensional, extraterrestrial, superconscious intercollective. Because modern culture has become deeply entrenched in Newtonian, matter-oriented physics ~ because the vast majority of people have completely lost touch their sixth-sense ~ their intrinsic powers of spiritual insight, perception, and clairsentience ~ it is causing them to fall out of equilibrium with the higher spiritual realm ~ to live in a state of extreme denial with regards to the interconnectedness between all things. But through facilitation from ego-dissolving entheological technologies we embark on an epic transdimensional mystical odyssey ~ cutting through the fabric of three-dimensional time and space ~ opening the doors of perception ~ allowing us to reach beyond the ego-mind ~ revealing greater truths, higher realities ~ exotic hyperphysical alien landscapes ~ the full-spectrum multidimensional bandwidth of existence. It will only be through the willful abandonment of our highly structured, closed, mechanical beliefs and conservative, intolerant ideologies ~ through the rediscovery and reawakening of our hyperintuition and empathy ~ our spiritual insight and extended perception ~ that we will reclaim our full-spectrum multidimensional vision and immediate interactive spiritual experiences within the higher planes of existence and universal consciousness. This is a program for people who long for them in their heart ~ for those who dream of seeing them, meeting them, being with them – whose highest aspiration is to initiate contact, realize intimate spiritual communion, and cultivate long-term interrelations with preeminent hyperdimensional deiforms who have evolved far beyond the physical experience. This project is for those who lay awake at night longing for their company – dreaming of close-encounter experiences with highly evolved alien life-forms ~ of being overwhelmed, illuminated, transported by their exotic paraphysical technologies. Become an experiencer, instead of just sitting on the sidelines watching TV .... seeing, hearing, and parroting indirect secondhand theories, explanations, and rationalizations about the mystical hyperdimensional experiences of others. This is a rare opportunity to awaken into the full-spectrum hyperdimensional spiritual experience ~ into experiences of synchronicity, interconnectivity, and interfusion with the living oceanic spiritual-energy-field of Christ-Consciousness ~ direct interplay with the transcendental ethereal community of highly evolved ultradimensional beings from fifth-dimensional hyperspace reality ~ the luminous supernatural overlords. By availing entheogenic technologies that trigger the illumination of intelligence ~ that accelerate the expansion and evolution of human consciousness ~ we find ourselves awakening to higher truths and esoteric knowledge ~ to a hyperintuitive understanding of the arcana of existence ~ we begin to interlink, interfuse and interrelate with the bonds and forces that unite the universe, humanity, and Divine Consciousness ~ we awaken into an alternative subatomic hyperspace dimension, regain our lost spiritual vision, and experience spiritual rebirth. This is an opportunity to awaken into alternative supernatural subspace realities that exist beyond the boundaries of the ego-mind ~ to enter into hyperintuitive telegnosis with ancient godlike deiforms who have received supernatural plasma-energy bodies capable of shape-shifting and displaying an extensive repertoire of seemingly impossible, hypernormal aerial phenomena... it is a rare opportunity to witness the ancient patriarchs of the universe ~ the masters of reality ~ operating outside of all known boundaries of modern physics. Since the inception of the human race they have been accepting humans into their secret society ~ the universal super-conscious hyperdimensional intercollective.... They are just waiting for the next human to become fully awakened and illuminated, in order that they may welcome him or her aboard ~ to begin the transformation / enlightenment process. This is a modern updated version of the ancient truth, designed to cut to shreds the delusions and fantasies and lies which have engulfed the world, that surround the world like a thick fog. The traditional old version of the ancient truth found in holy books, like the Bible, have somewhat lost their sharpness, because the language of modern science and technology have rendered the ancient scriptures quaint. 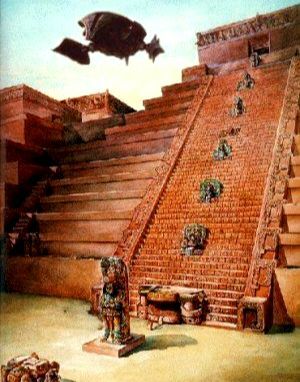 It has become easy for people to set aside the interdimensional / supernatural / UFO realities found in ancient scriptures as though they are mythological, symbolic, poetic, or religious fiction. For people whose minds have been shaped, molded, and programmed by contemporary western Aristotelian science and physics it is simply off the table to take them as accurate records of actual events. To live in the ego-mind is to live in a state of unconsciousness and blindness. The mind is a by-product of the physical world ~ it cannot escape ~ it cannot go beyond it. As long as you choose to remain inside the tiny dark dungeon of this programmed mind you will not be able to access the complete truth; "full-spectrum-multidimensional-reality" will be unavailable to you. You must be willing to go out of your mind if you want the complete truth. Anything less than the complete truth is not the truth at all. If large pieces of the existential puzzle are missing it is not truth.... it is only someone's theory, someone's guesswork. Through meditation and mantras, realizations and psychedelics we help you make the quantum-leap from the blindness of mind to full-spectrum-superconsciousness, to universal spiritual-consciousness. As long as you remain inside the boundaries of truth you are not offensive or disobedient to God or to His spiritual Way. Therefore, an updated version of the ancient truth using modern scientific language is permissible, acceptable, and necessary at this time.